Every pilot needs to know the difference between AIRMETs and SIGMETs. They can be confusing, so let me keep it very simple: avoid SIGMETs at all costs and think twice about flying in an AIRMET. With that said, let me explain. AIRMET Zulu: Icing. Moderate icing and freezing levels. Why think twice about flying in an AIRMET? 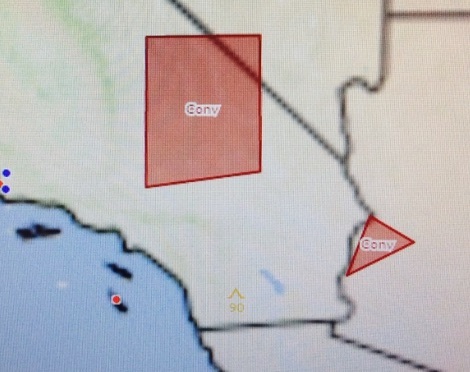 Because these warnings are potentially dangerous, but you can mitigate the risk by adjusting your flight plan. For example, during the winter months in the Pacific Northwest there are permanent AIRMETs Sierra, Tango and Zulu. Almost every time I call for weather I will get one or all three of those AIRMETs. I don’t worry about them, though, because I can adjust my route. I either fly up the Columbia Gorge to avoid the mountain obscuration, or I fly below the clouds and thus out of the icing levels, or I stay away from the mountains where the turbulence is. You can work around AIRMETs, what you can’t work around are SIGMETs. Don’t mess around with SIGMETs. Wait them out. Go get coffee. Chill out until it passes. SIGMETs effect the safety of all aircraft. Even the big boys. They are classified as either “convective” or “non-convective.” The non-convective SIGMETs are for severe or greater turbulence or dust/ash. Convective SIGMETs are for thunderstorms. SIGMETs last for 2 hours, so you may have to wait the weather out for 2 hours at a time. Like AIRMETs, SIGMETs are issued for either actual or forecasted weather conditions. “Outlook” SIGMETs are just that: a prediction. 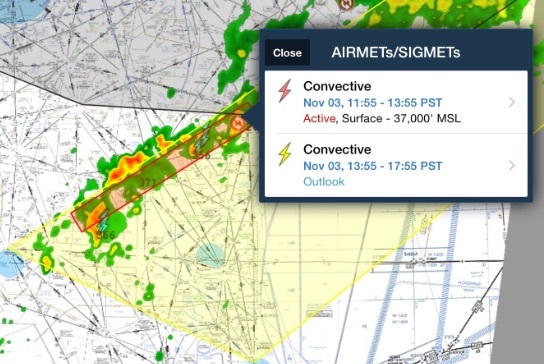 Active SIGMETs are depicted in red on Foreflight and Skyvector and they are dangerous. In the military we are prohibited from flying in active SIGMETs. We can fly in “outlook” SIGMETs. I highly recommend you place the same restriction on yourself for active SIGMETs. By making this a hard and fast rule, you completely take the decision making out of the situation. It’s already decided. Let me give you an example of when this is useful. We were at Barstow Dagget airport which is at the very bottom of the SIGMET in the image below. We were so close to the edge of it we were tempted to take off anyway, but we didn’t. We weren’t allowed to, and I’m glad we weren’t allowed to. When you are on the edge of a SIGMET it is tempting to push it. What the SIGMET doesn’t show is all of the convective area outside the SIGMET box. There is also usually a larger outlook SIGMET surrounding the active SIGMET. Just because you are in an “outlook” area doesn’t mean you should fly. Look at the image below. The radar imagery shows severe activity outside of the red and yellow boxes. Weather changes rapidly with SIGMETs. Do not get lulled into a sense of security. SIGMETs of any kind should scare you. I hope gives you a better understanding of SIGMETs and AIRMETs. Bottom line: SIGMETs are serious, but you can work around AIRMETs.